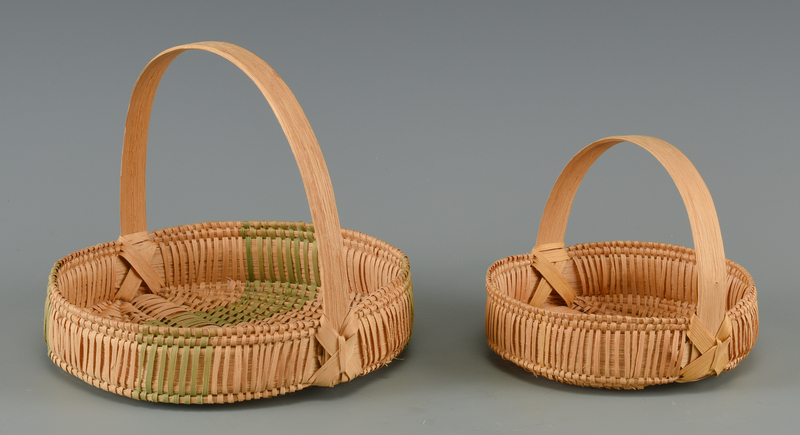 Five split oak Tray or Pie Baskets of graduated size, each with flat circular form, handle, and double-wrapped rim. Sizes range from 5" to 10". 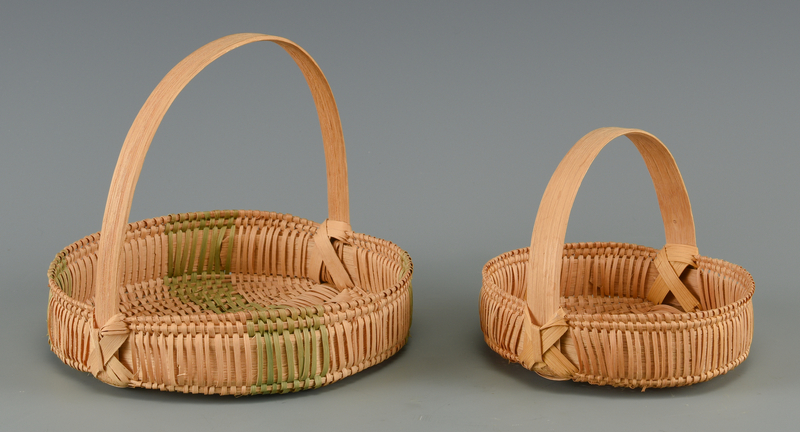 Smallest one signed "Pie Basket Set Mary Prater 1973." 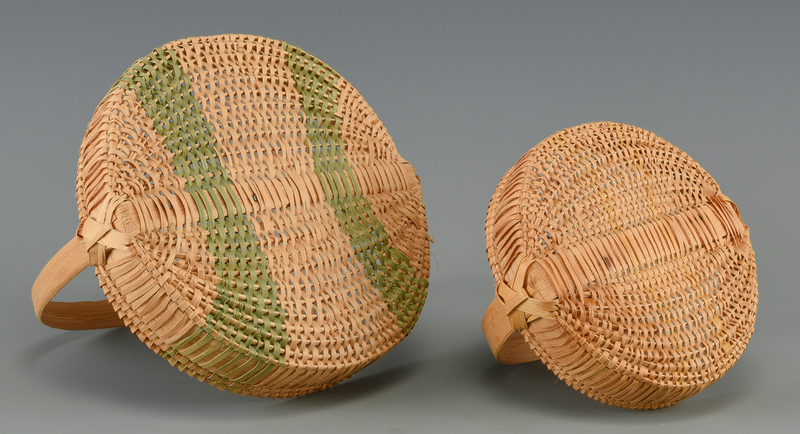 The 7 1/4" basket has bands of green dyed decoration and the 8 1/2" basket has bands of yellow decoration (to exterior). CONDITION: A couple of scattered small breaks, overall very good condition.